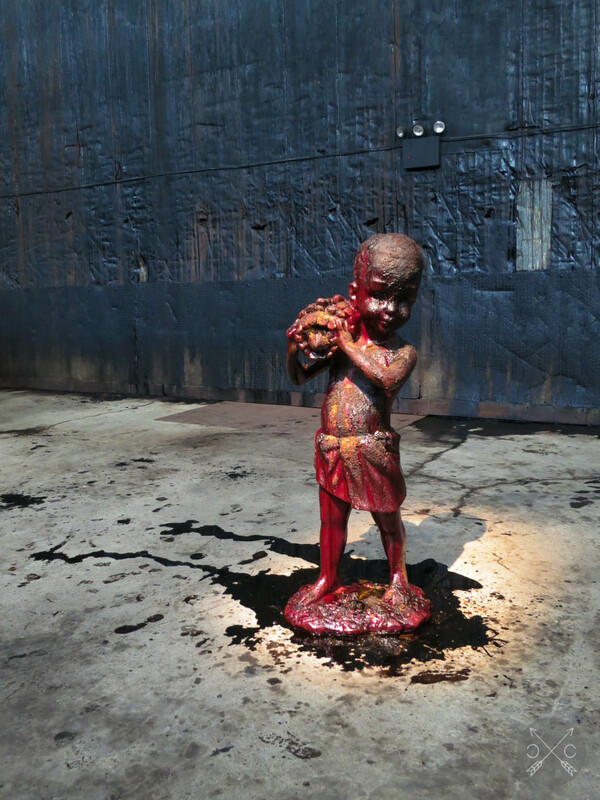 The great thing about New York is that this place is constantly bustling with amazing works from incredible artists. 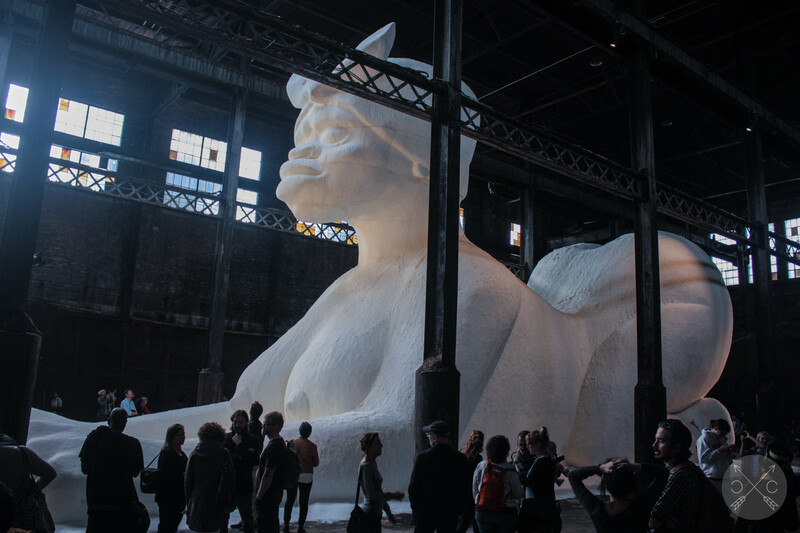 This summer, we are lucky to have a temporary installation by the well esteemed Kara Walker. 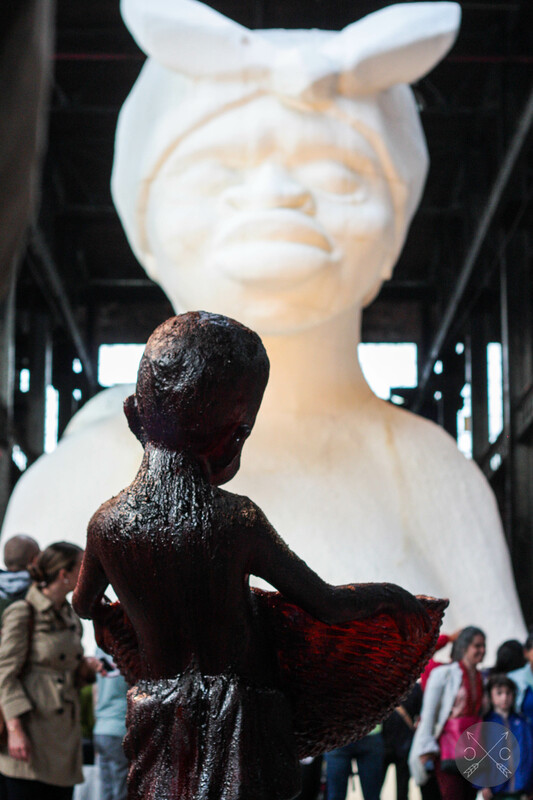 She has created a masterpiece in the abandoned and soon-to-be demolished Domino Sugar Factory. 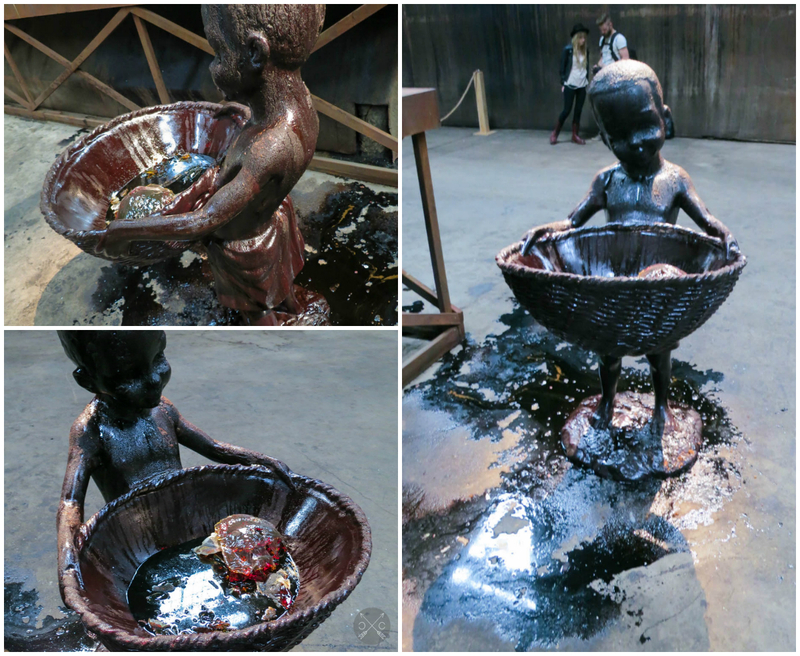 Her installation pays respects to the Caribbean slave trade that fueled the Western market for refined sugars and rum. By all means, her exhibition is no where close to “subtle” as the title initially misleads. 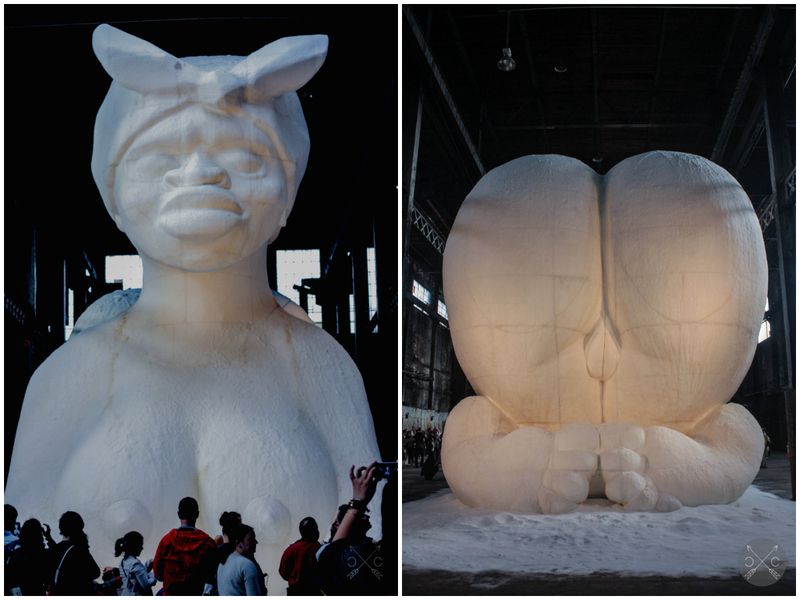 In fact, the full title of her installation is “A Subtlety or the Marvelous Sugar Baby, an Homage to the unpaid and overworked Artisans who have refined our Sweet tastes from the cane fields to the Kitchens of the New World on the Occasion of the demolition of the Domino Sugar Refining Plant”. Definitely not subtle. 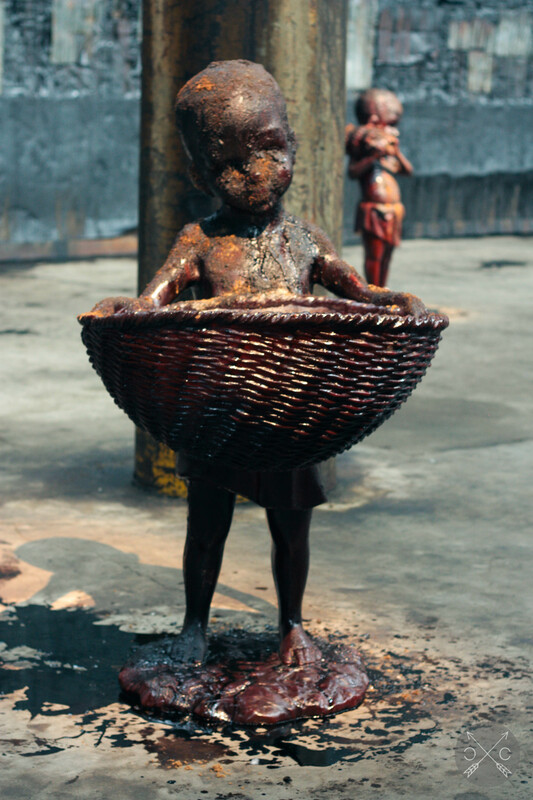 More about her background and the meaning behind her work can be found on NPR. It’s only 8 minutes, so give it a listen! 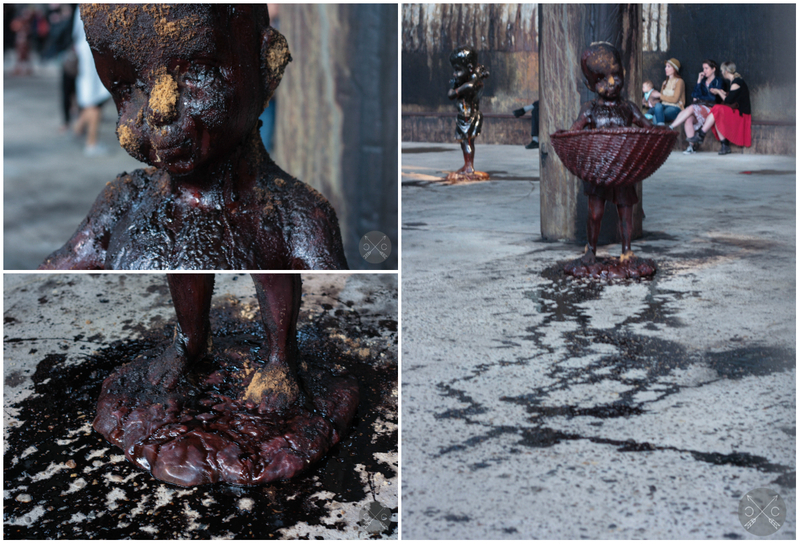 This additional information will help provide context to her installation. Now, onto the actual exhibition. Just a warning, the lines for this exhibition are crazy long (like several blocks long). But, the lines move along at a steady pace and it will be worth it! Right when you enter the Domino Sugar Factory, the smell of sweets instantly lures you in. 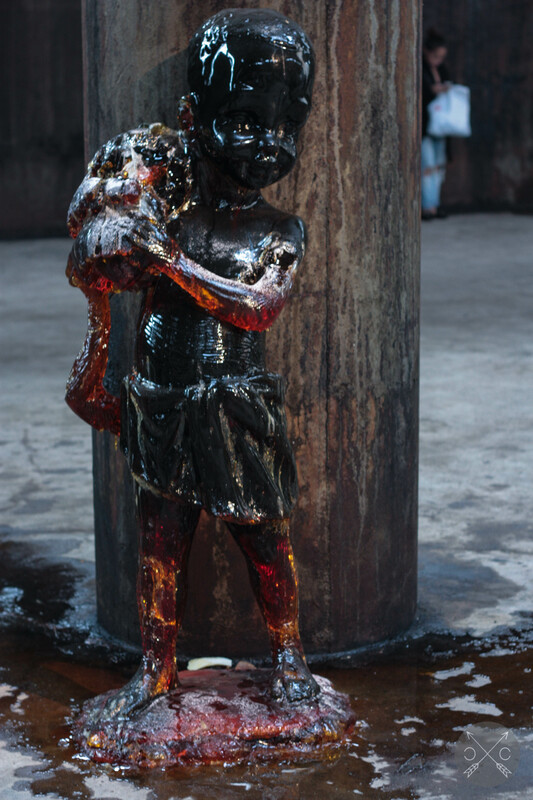 These are the first sculptures that greet you. 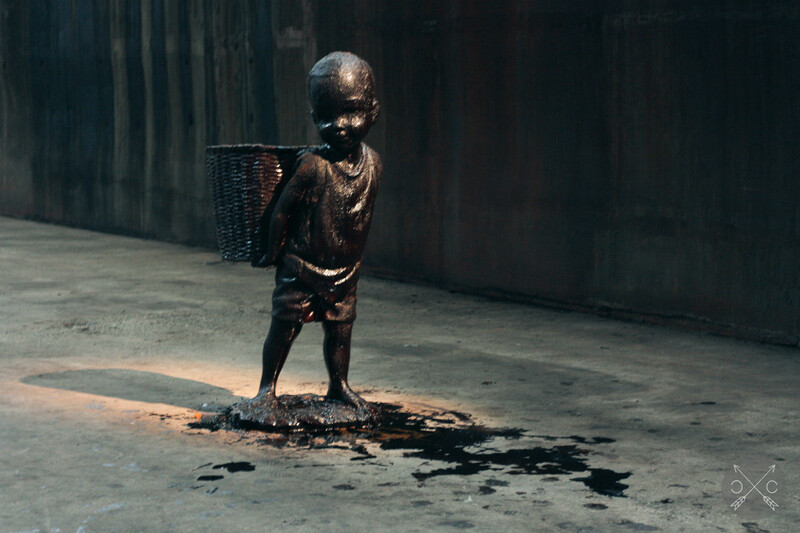 As you can already see, these sculptures appear deceptively cute and charming. However, as you approach these kids, it becomes more and more disturbing. 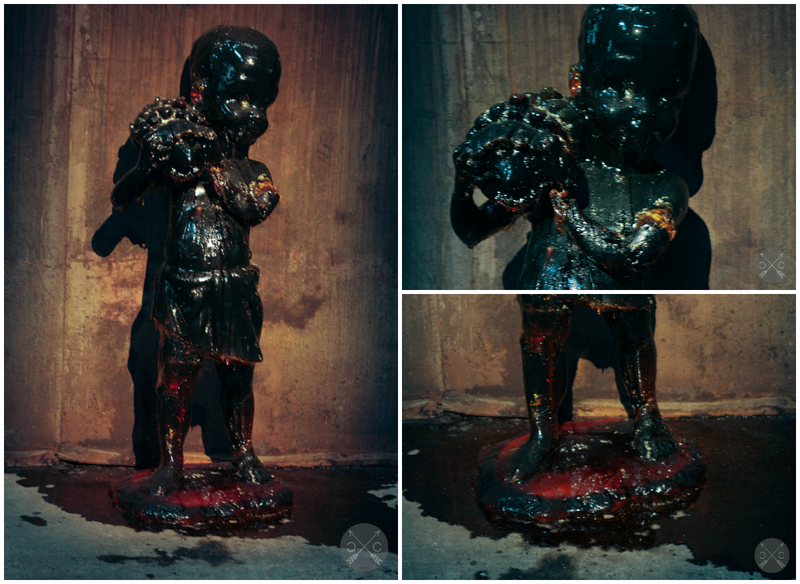 Some have lost limbs and continue to melt due to the natural decay of sugar over time and temperature changes. Some of these limbs have been tossed into the baskets where they continue to melt. 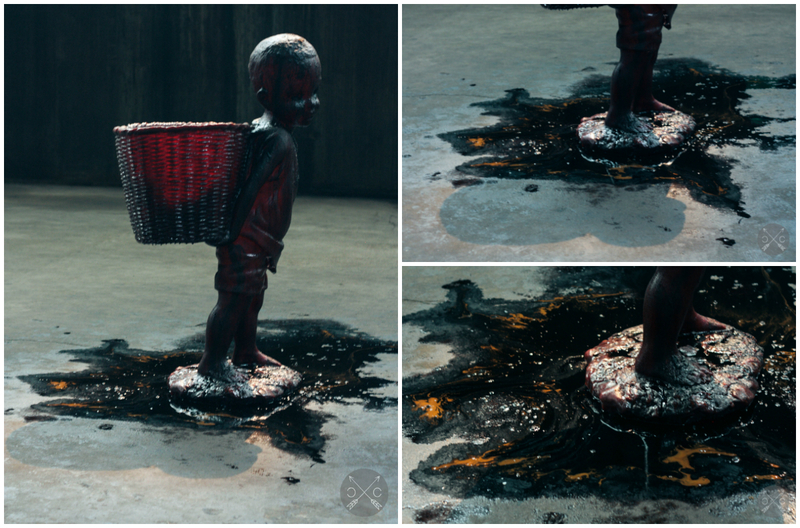 Kara Walker’s use of sugar is completely brilliant in conveying her message about the Caribbean slave trade. Even after several minutes in the Domino Sugar Factory, the presence of so much sugar actually starts to make you feel light-headed and sick to the stomach. 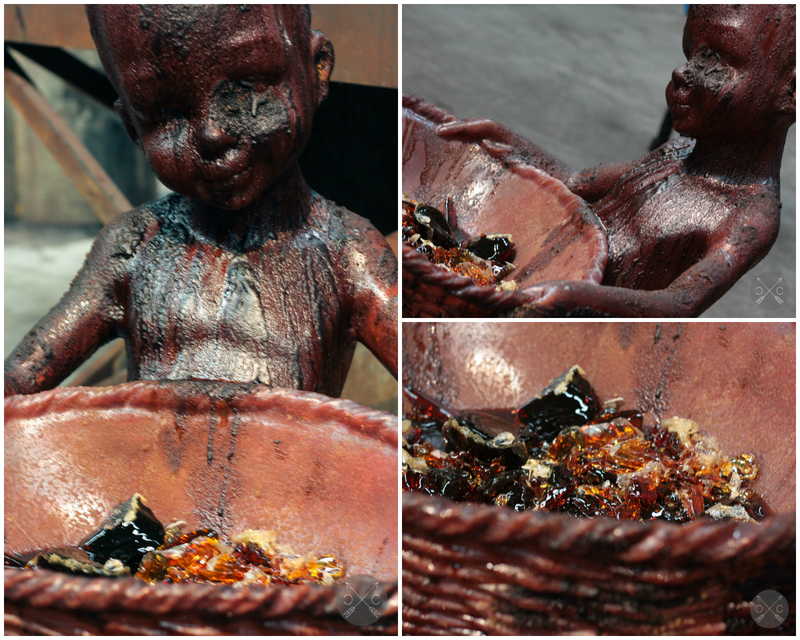 As you continue to weave through sculptures of kids, your eyes eventually meet the greatest being in the warehouse. If you have the time, I highly recommend checking out this exhibition while it lasts. It is open and free to the public only on weekends until July 6. More information on the exhibition can be found here. The schedule and location are below. Make sure to arrive early and expect very long lines (~20-30 min wait), but be patient because it is definitely a sight worth seeing! This looks amazing and I wish I had made it out there!